I really wanted to make a positive difference in the world and I thought joining the police force would give me that chance. It took me about 6 months to realise that I wouldn’t be saving the world - it was a gradual wake-up, but once I had arrested the same person for the same crime day after day, I got the message. The legal system was not the useful tool for fixing society’s problems that I had naively believed it was. I was paid very badly to do the job I now hated and was hated by a large section of the community (I learned that cops are either loved or hated – there’s no middle ground). Every day I put on the uniform, I was making myself a target. That became clear when the AFP Assistant Commissioner, Colin Winchester, was shot dead in his driveway. After 3 years on the force, I resigned. I went to London to work in the media in the sort of job where I took people to lunch and got home at 3am, trashed. I ended up with huge dependencies on coke and alcohol. After putting my house and significant income up my nose, I realised I had to either go to rehab or go home. So I got on a plane back to Australia. I got another media job in Sydney and managed to stop snorting cocaine – by injecting ice. were friendly and welcoming. I didn’t feel like a “client”. The equipment was set up as self-serve; I was treated like an adult with a choice, rather than the greedy petulant child so many services seem to think we are. For the first time ever, I didn’t feel uncomfortable about my drug use or getting equipment. When I found out that some of the people there were volunteers, I decided I wanted to do that. I put my name down for the Peer Participation Program. That was 3 years ago. 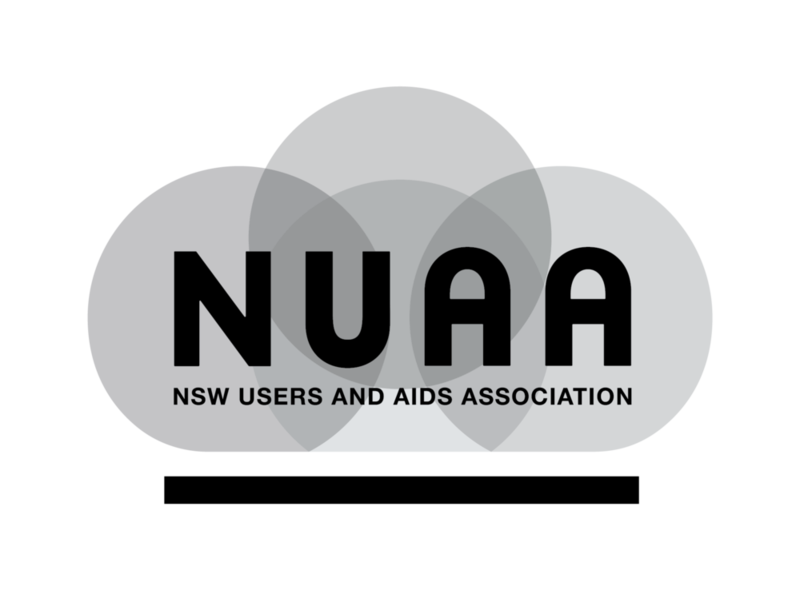 I enjoy working as a peer at NUAA. Every time I help someone, by showing them a new technique or giving them clean equipment, I get something back instantly. When I was sent to detox by the courts a while back, I was talking to a worker about NUAA. I pointed out that we did different things – at the NUAA NSP, we support people to take drugs safely, whereas the detox was all about getting off drugs. He replied that he felt we were doing the same thing – that it was all about helping people make a fully informed decision about their health. I really liked that. That “making a difference” thing I wanted back when I was 21? I really feel I understand that now. Every day at NUAA that I volunteer, that I step up as part of the peer community, I feel that I’m doing something really important for my people. I’ve finally found where I belong and what makes me feel good about myself.